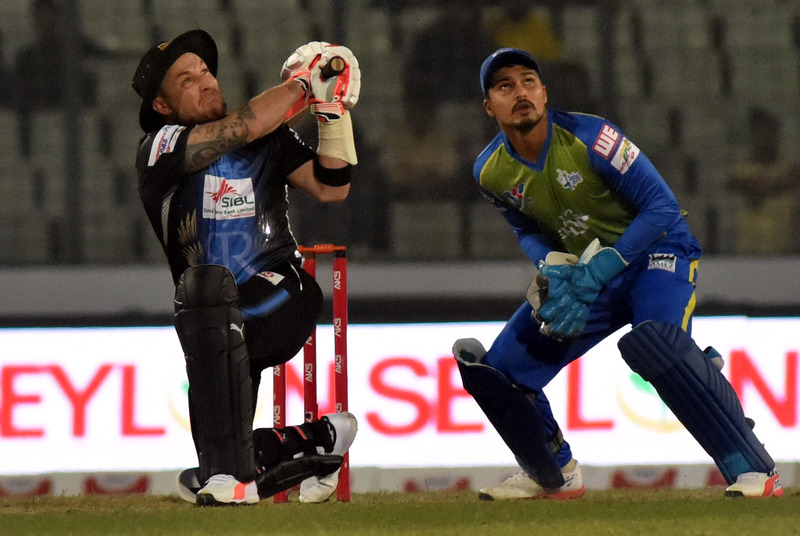 Khulna Titans won the toss and elected to bowl first against Rangpur Riders in the 38th match of the seven-team Bangladesh Premier League (BPL) T20 at Sher-eBangla National Cricket Stadium (SBNCS) on Sunday. Rangpur are an unchanged eleven while Khulna have drafted in Michael Klinger and Mohammad Irfan to place Rilee Rossouw and Kyle Abbott. Both sides need to shore up their batting form as Khulna were knocked over for 111 and conceded nine wickets loss in their previous match against Comilla Victorians in Chittagong on November 28 while Rangpur fared worse, capsizing for 97 and conceded four wickets loss also against Comilla Victorians at SBNCS on Saturday. Khulna Titans: Nazmul Hossain Shanto, Rilee Rossouw, Mahmudullah Riyad (captain), Afif Hossain, Nicholas Pooran, Carlos Brathwaite, Ariful Haque, Jofra Archer, Kyle Abbott, Shafiul Islam and Abu Jayed. Rangpur Riders: Chris Gayle, Ziaur Rahman, Brendan McCullum, Mohammad Mithun, Ravi Bopara, Mashrafe Bin Mortaza (captain), Nahidul Islam, Nazmul Islam, Chamara Kapugedara, Isuru Udana and Sohag Gazi.